We love our local! 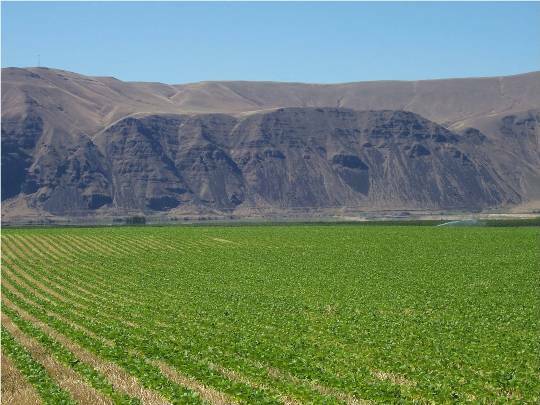 Located in Oregon, we source as much as possible from our Northwest regional farmers. As bean lovers and bean makers we are passionate about sourcing outstanding beans. We’ve fond that the best beans come from family farmers. Supporting our regional economy. Did you know most organic black beans are grown in China? Reducing carbon emissions from shipping. Identity preserved beans for consistency of favor and texture. 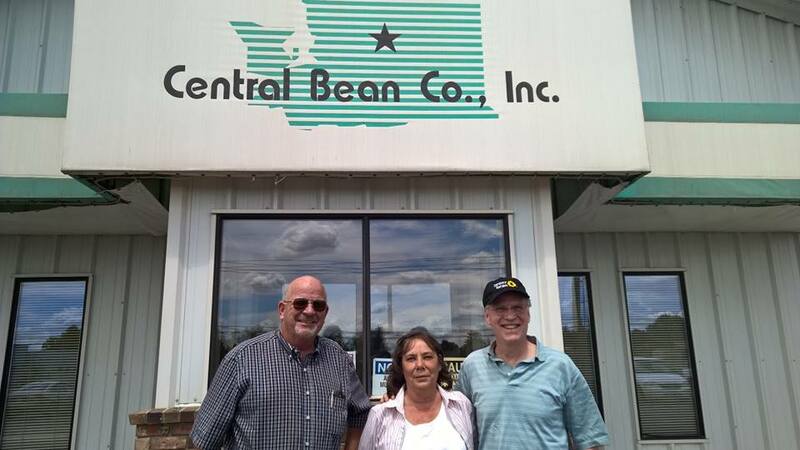 A few weeks ago Keith Kullberg, my dad and founder of The Better Bean Company, had the opportunity to visit one of our important bean suppliers: Central Bean in Quincy Washington. Central Bean and Haricot Farms are a group of farms owned by the Grebb family. 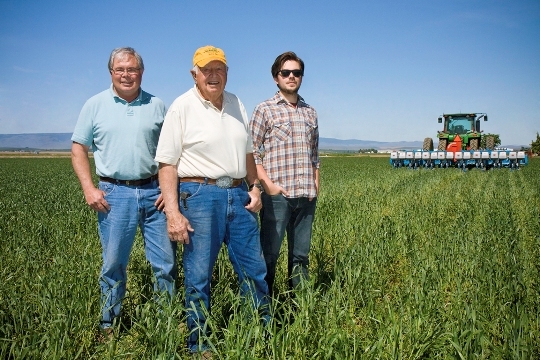 Don Grebb was born with a farmers’ commitment to crops and land. He hoped to pass that same love of land and farming to his sons, Tom and Jerry. Under Tom’s management Central Bean became the only Food Alliance certified bean handler and processor in the country and is renowned for their unique process, which has 100% traceability of the beans from seed to sale. The Grebb family is proud that their family farm has achieved Food Alliance certification and serves as a model for sustainable farming practices throughout the country. Our beans are delicious just cooked in salt and water. My dad so enjoyed his visit to Haricot Farms and Central Bean. He saw how the beans are cleaned passing through many shakers, sorters and air blowers, which gave him an even greater appreciation for the quality of the wonderful beans we receive from Haricot Farms and Central Bean – and just how much work goes into growing, harvesting, shelling and cleaning a bean! Home bean gardeners can appreciate this work! Food Alliance Certification: Haricot Farms are Food Alliance Certified. Food Alliance Certification verifies that a product has been grown or produced in a holistically sustainably way. This is includes the wider ecosystem and the treatment of workers. There is a an agreement with the farmers to continually improve their environmental stewardship. What is important about the farming practices associate with Food Alliance is that these black beans are “no-till”. Meaning, the soil is not tilled under (disturbed each year). Whenever a tractor tills the ground, especially in dry farmland like Eastern Washington, soil is lost to the wind. Moreover tilling destroys the soil structure—a delicate balance of silt, sand, clay and soil microbes. Tilling compresses the ground so the soil looses its pockets of air that help hold water when it rains and aids in the movement of nutrients within the soil system. The no-till process ensures that farmers are keeping their soil on their land and healthy. No-till farming is a way of growing crops from year to year without disturbing the soil through tillage. No-till is an emergent agricultural technique, which can increase the amount of water in the soil and decrease erosion. Because the soil is never tilled the natural, beneficial nutrients and insects are preserved, which in turn produce more natural, healthier crops. 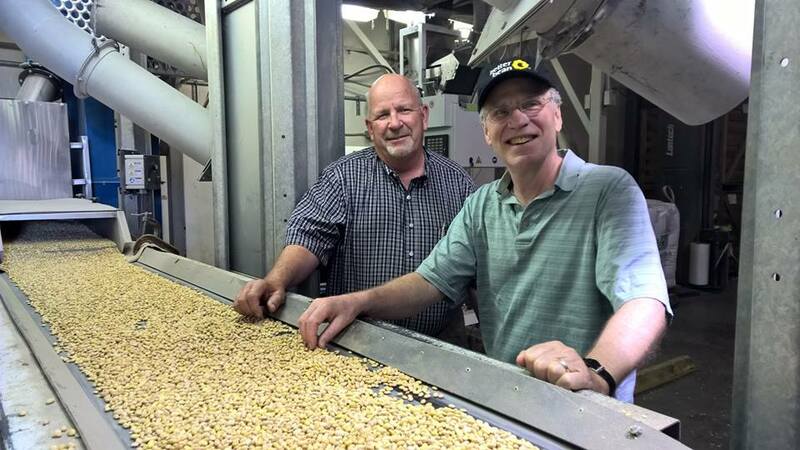 Tom doesn’t worry about the things that bother most farmers, like soil erosion, since no-till farming keeps the earths precious nutrients right where they are needed – growing the best beans in the Northwest. No-till farming also helps conserve water by limiting runoff and creating soil that retains water more effectively and offers an important advantage of having much lower carbon impact than cultivated farming. A conscious bean is a better bean! The yellow beans [pictured] are Mayocobas, which are an amazingly delicious yellow bean that may have a place in our future! Most of our red, black, white, and pinto beans are grown at Haricot farms, cleaned and sorted at Central Bean, then shipped right to us. We buy our beans in 2000lb totes. Pictured below is a tote destined for us! 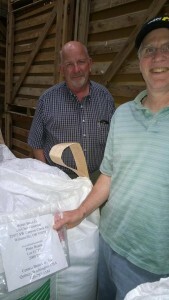 We choose beans in totes to save on packaging. When we were a small company we could only buy beans in 25 lb bags. We are so grateful to everyone who buys our beans allowing us to grow and be more and more sustainable with our choices. Pat Conneley and Janice Drake [pictured] handle our orders. Condor Black Beans: We source the Condor black bean varietal. You’ll notice its deep black color, not at all like the bland brownish black beans on the market- these beans are grown with the best cultivation that ensures deep flavor – you can taste the minerals! A one-cup serving is packed with 15 grams of fiber and protein! Seahawk White Beans: These beans are loaded with magical nutrients like calcium, iron, zinc, copper, and magnesium. We use a variety of navy bean called the Seahawk. Island Pinto Beans: The “painted” bean is the most highly consumed dried bean in the United States, and for good reason—its wholesome taste is a great canvas for many colorful flavors. Our pinto beans are the Island Pinto varietal. Merlot Red Beans: Half of our red beans are Food Alliance Certified Beans grown by Haricot farms, the other half are grown organically by three farming families in Washington and Idaho. Red beans are a rich, sweet bean that is higher in antioxidants than blueberries! Not a commonly eaten bean in the US they are the go-to bean for Nicaraguans. We love being able to visit the farms we source our ingredients from and witness their sustainable farming practices first hand. Next time you take a bite of our delicious Cuban black beans or Southwestern pinto you can feel good knowing exactly where your food came from and how it was grown. And that’s a pretty good feeling. FOR THE LOVE OF BEANS. I just discovered your website. So happy to learn how you grow your beans! No-till is so great! Thanks for supporting the soil’s health. I don’t see mention of use of herbicides or pesticides on your crops. I only eat organic (no pesticides or herbicides of any kind). Can you inform me of any chemicals you use? thanks!